Inglewood is Calgary’s oldest neighbourhood, containing the city’s oldest surviving building (Fort Calgary), and is the city’s original downtown centre. Today, it is primarily a shopping and arts district, in addition to being a beautiful place to photograph at night. In this post, I share a few of my favourite photos taken during a recent weeknight walk through the neighbourhood. 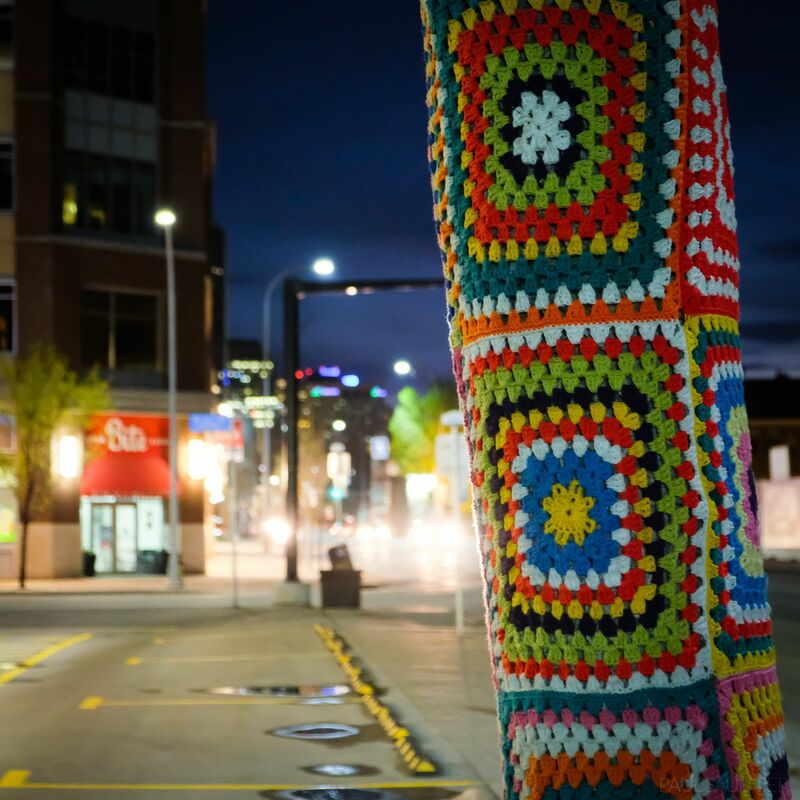 Yarn bombing can be found near Bite Groceteria, which is part of a new mixed-use development. 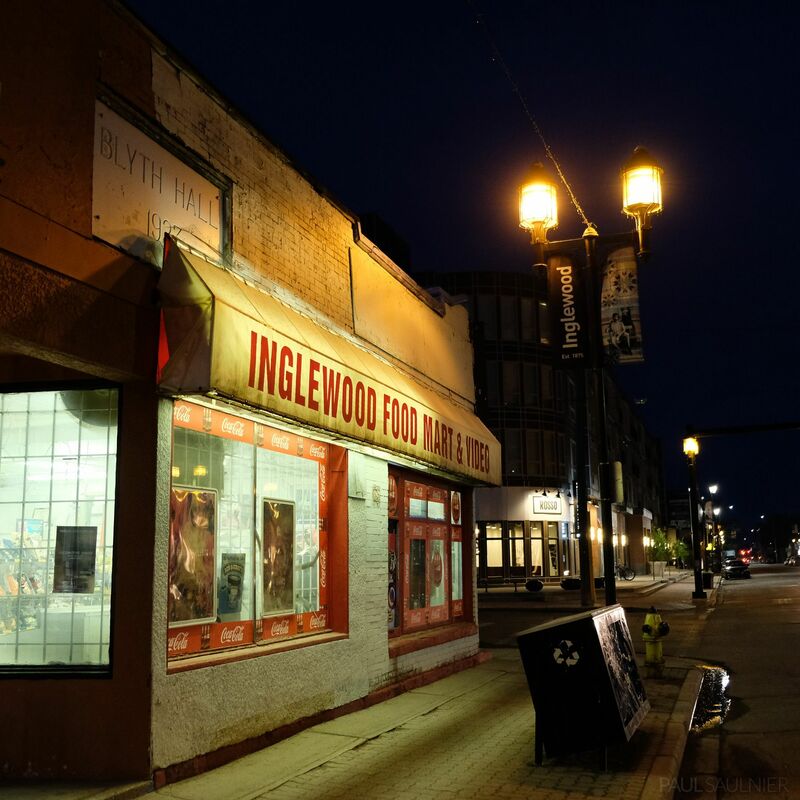 Many people are worried that Inglewood is slowly losing its character as more of its old buildings are replaced. The Inglewood Food Mart & Video is one of Inglewood’s most iconic businesses. 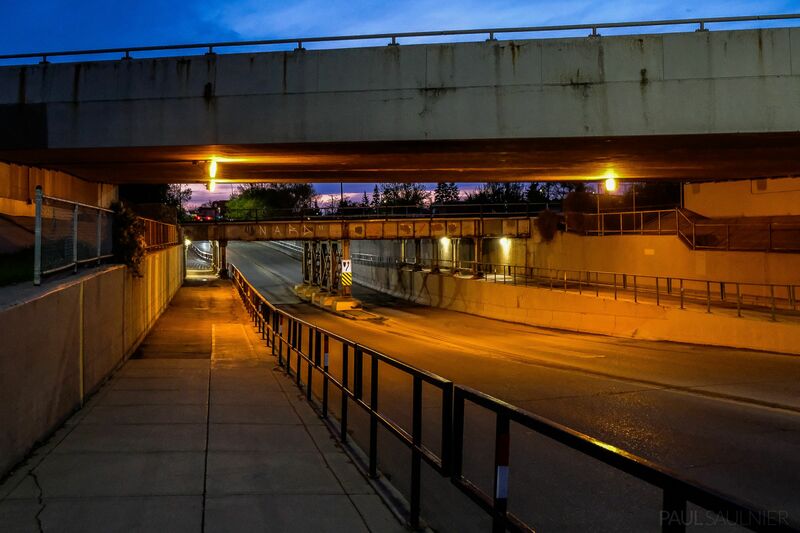 The Blackfoot Trail Overpass is not usually on anyone’s sightseeing list, but I loved the structural appearance and lighting conditions. 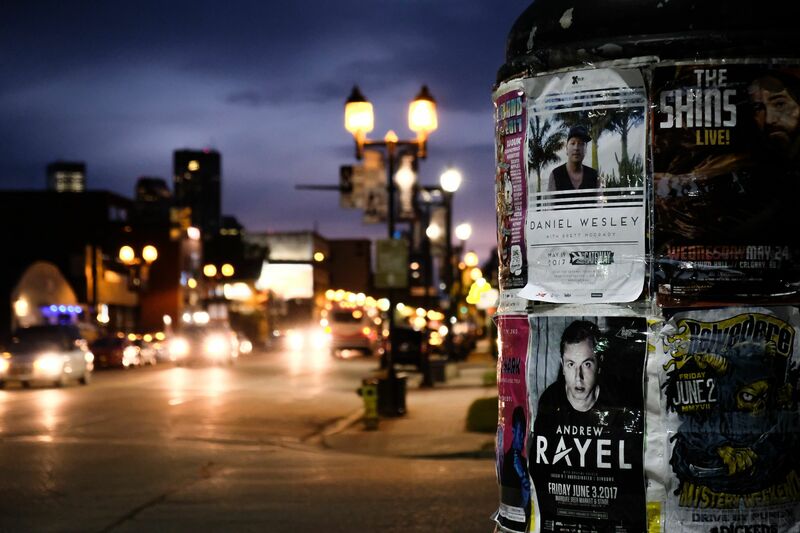 Ninth Avenue is generally regarded as Calgary’s first “main street”.